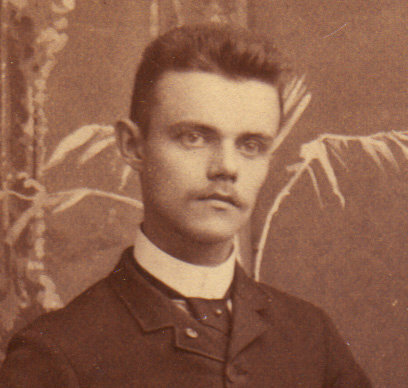 Charles N. Lanphere was born near Copenhagen, New York, on 15 June, 1869. In 1888 he entered the music conservatory at Potsdam Normal and studied there for 2 years before attending the music conservatory in Boston. He graduated from the New England Conservatory of Music in Boston and the Virgil Piano School of New York. 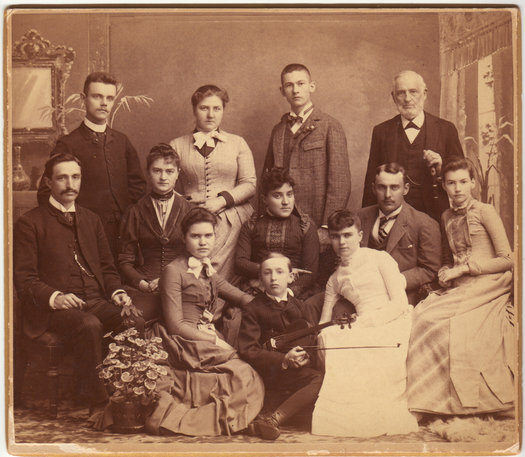 Harriet Lovisa Ellis was born near Potsdam on 11 October, 1865. She graduated from the pianoforte school at Potsdam State Normal School in 1889 and from the Music department in 1890. While she was a student at the New England Conservatory of Music in Boston, she was one of the students selected to sing in a chorus directed by John Philip Sousa. Charles and Harriet were married the 25th of December, 1895. The couple studied abroad for several years then returned to Potsdam and made their home on Pierrepont Avenue. Mr. Lanphere lectured and taught the history of music and pianoforte. He was renowned as a lecturer on music, principally on the music of the Bible. He spent years studying music and musical instruments of the early world and was considered an authority, reproducing his own extensive collection of instruments representing instruments of the Bible, Egypt, Chaldea, Assyria and Palestine. He reconstructed these instruments using images depicted in rock sculptures, tomb paintings, coins and other archeological items. Not satisfied with reproducing them, he also learned to play them. The original collection was destroyed in a fire but he was able to reproduce most of them a second time. 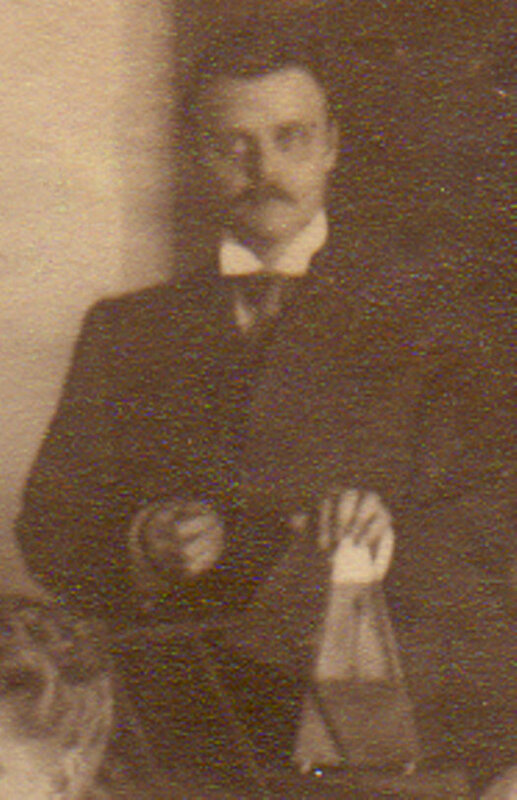 In 1931 Charles Lanphere joined the Crane faculty as a piano teacher. 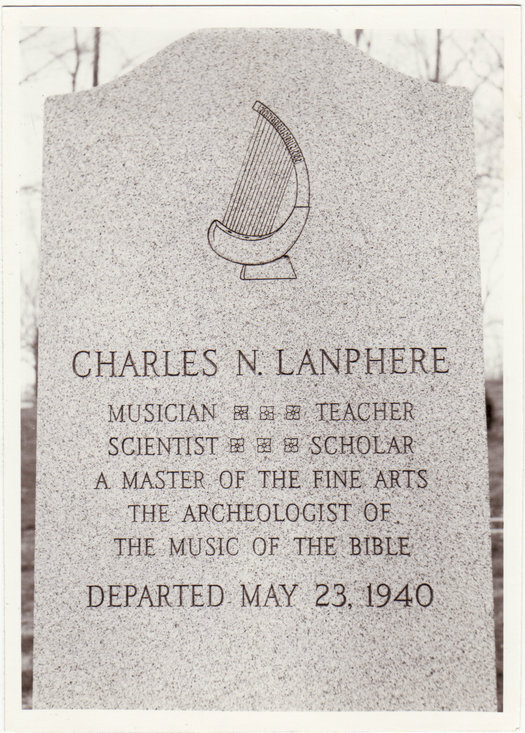 Charles N. Lanphere died May 23rd, 1940 and his collection was donated to the Normal School by Harriet Lanphere. 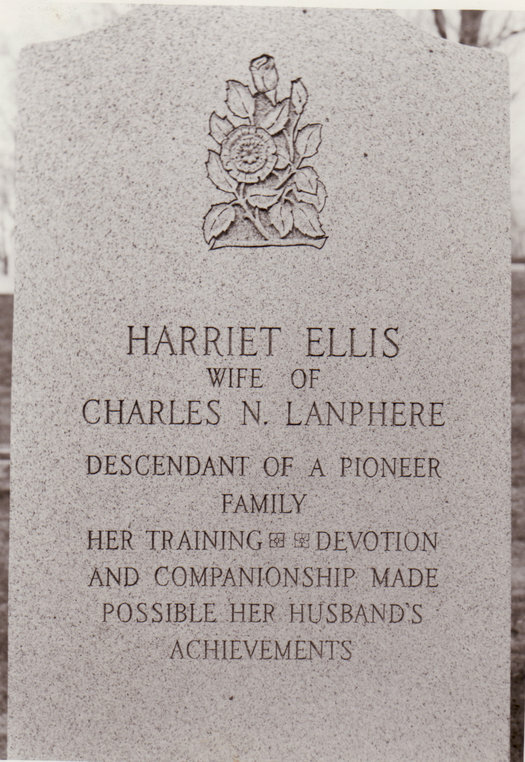 Harriet Lovis Ellis Lanphere died the 21st of October, 1953. Mr. Lanphere was fascinated by the development of music from it's very beginnings. He traveled to Europe and studied in London, Paris and Dresden. He wrote two famous lectures, "The First Ten Thousand Years of Music" and "Music of the Bible". The instruments in this exhibition are reproductions made by Mr. Lanphere around 1900 to illustrate his lectures. Mr. Lanphere returned to Potsdam in the 1930's and began teaching piano at the Potsdam Normal School, which became Potsdam Teacher's College, and now the State University College at Potsdam. The instruments in this exhibit were donated to the Potsdam Public Museum by Dr. Robert Washburn with the exception of the violin, which was donated by Helen Hosmer. 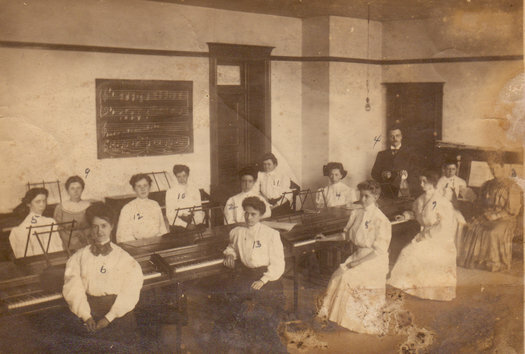 The museum has discovered a very early image of Mr. Lanphere in which he is identified as the organist in a photograph of the Baptist Choir in June 1889. Since he was born in June 1869, the image is a portrait of him at age 20. He would have been in his second year as a student in the Music Conservatory of the Potsdam Normal School directly across the street from the church. The First Baptisit Church was constructed in 1853, and demolished by fire in 1971. Brochure of one of Mr. Lanphere's lectures "The Music of the Bible" at the Boston Public Library. Kinnor - Egypto/Isreali, 1200 B.C. Kinnor - copied from a Jewish coin 160 B.C. Dr. Lanphere built a collection of early instruments using ancient texts and coins and architectural detail from tombs and temples for inspiration. He returned to Potsdam in the 1930s accepting a piano teaching position and became dear friends with Helen Hosmer. These instruments were used for many years as teaching tools at the Crane School of Music. They have been donated to the museum by Dr. and Mrs. Robert Washburn. From the middle ages, this wooden triangular-shaped instrument is a descendant of a Hebrew instrument. Small Hebrew Harp labeled "Pictured on Egyptian tomb of Beni Hassan, 1800 B.C., in the hands of a Semitic in Egypt, conjectured to be a brother of Joseph. This is the oldest form of several stringed harps represented in Egyptian reliefs. The Kinnor of later periods appears in several forms". Wooden stringed instrument, No strings. Egyptian Horse-head Lyre labeled "Egyptian Horse-head Lyre. It was carried on the shoulder of the player. A funeral instrument, often pictured in tombs in connection with obsequies of the dead. Original specimens have been found in tombs". Bow Harp with four strings labeled "Egyptian Bow-Harp four strings. Older than the Nofre - (3500 B.C. although no pictured until later date). Not far removed from the hunting bow, man's first harp. No sound box". Egypto-Israeli stringed instrument labeled "A common form in Egypt around 1200 B.C. It is conjectured (not proven) that this form was brought out of Egypt by the Israelities at the time of the Exodus, and was played by them in Palestine - perhaps even in the Temple Service". Assyrian stringed instrument labeled "Psanterin - Assyrian. Copied from a bas relief in the British Museum. Often pictured on Assyrian monuments, and always in the hands of a Monarch or High Priest. An instrument of royalty. Its strings were beaten with a small mallet, or plectrum. It was without doubt, play in the feast of Belteshazzar". Large Harp, has gold fabric tassels labeled "Nebel - large harp. The most impressive harp of the Hebrews. Believed to have been the chief instrument accompanying the Psalms in the Temple Service in Jerusalem. Mentioned many times in the Bible. Its identity is almost positively established". Wood, painted gold labeled "Kinnor - small harp, one of several forms. This harp is copied from a design on a Jewish coin struck 160 B.C. The Jewish Talmud declares that King David hung above his bed a Kinnor of gold, that night winds passing over its strings made soft aeolian music. The association is only conjectural". Stringed instrument from the Middle Ages labeled "In this form it was brought from Palestine by the Crusaders on their return from the Holy Wars. It became the most popular stringed instrument in Europe; and it the direct forerunner of our piano". Three-string Lute, strings missing labeled "The oldest sting instrument represented pictorially. It is employed as a hieroglyphic character on an Egyptian tomb 5600 years ago meaning 'good'. Its three strings symbolize spring, summer and winter". Egyptian percussion instrument, clapper. Painted yellow with painted head at top. "Employed in religious worship, dance, and in war. Played by the soldier musicians at the wrecking of Salem, on the ruins of which reared the city of Jerusalem". Percussion instrument with wooden handle, and brass loop with rings. "Menaaneim - a jingling rattle. Incorrectly rendered in the King James translation as 'Cornet'. It was employed extensively by the Egyptians to drive away evil spirits. Cleopatra employed them by the thousands in her armies to protect her soldiers from the satanic influences". Chinese, bronze (?) wind instrument. "Chinese Harmonica. Tones produced by drawing the breath and uncovering the finger holes. From Hong Kong." "Talking Drum", from India. "Sweeping the drum head with his thumb, the player produces pitch variants, imitative of inflections of the voice". Troph-Timbrel. Egyptian-Hebreaic. Top has black design, small bells on the outer ridge, three bells inside. "Copied from Egptian fresco 1500 B.C.Timbrel played by Miriam at the Deliverance from the host of the Pharo at the Red Sea. Always played by a woman as accompaniment of a dance and song. Divine command had not yet prohibited pictorial designs". "A funeral instrument. It is pictured on monuments from 1500 B.C. This form was often placed beside the mummy in the tomb. Several originals have been found. It was always carried on the shoulder of the player". "Instrument of ten strings. Nebel Asor, Assyrian Harp. Referred to in the Psalms as 'An instrument of Ten Strings'. Often pictured on Assyrian monuments, and always in the hands of a monarch of High Priest, it was evidently a favorite of royal entertainments. Its identity, as the instrument mentioned in the Psalms, is not positively established". Large instrument with a base of parchment covered wood. "Pentatonic Air on the Tambura, parchment covered lute." Hand drum, bronze color with Blue edge (ribbon). "Toph-hand drum. Egypto-Israelitish. Often pictured in Egyptian sculpture and painting, not clearly differentiated from the 'Timbrel' or 'Tambourin' as both forms are know to have been using in Egypt and probably in Palestine. It seems probable that the Toph was played by men, as this form is always pictured in the hands of men - the Timbrel form in the hands of women". Made and used by Charles Lanphere as he lectured on the beginnings of music and the biblical instruments on display. Edited by Lanphere and containing hand drawn illustrations of the musical instruments and musical notations. Charles Lanphere was brought up on a farm where hard work and spiritual instruction were the focus. The music at church moved the small child and he begged his father to buy him a violin. When he was told that music was to be kept in church by his father, he decided in secret to built his own violin out of a wooden cigar box and some barn boards. He used the hair of their horse to make the bow. When his father discovered the violin in the rafters of the barn he asked Charles if he could play it and play it he did! His father then decided to encourage his musical talents and bought him a proper violin. Charles Lanphere kept the handmade violin for a lifetime and gave it to Helen Hosmer as a gift. She donated it to the museum and it is the very instrument that Hilary looks at!